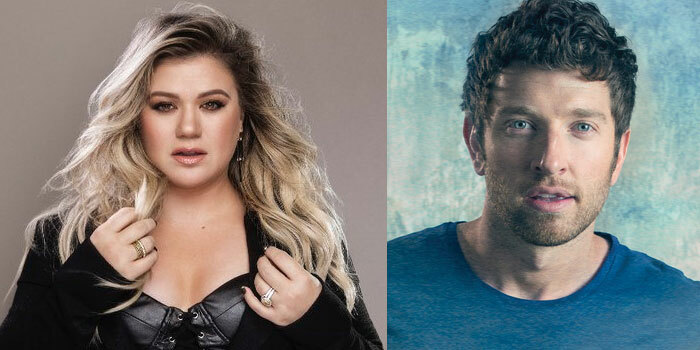 Cracker Barrel Old Country Store has kicked off the holiday season with the release of its “Rocking and Stockings” content series with multiple Grammy Award-winning superstar Kelly Clarkson and platinum-selling singer-songwriter Brett Eldredge. The exclusive performances of new hits and traditional holiday classics premieres on Cracker Barrel’s YouTube channel with Clarkson’s “Love So Soft,” followed by Eldredge’s “Have Yourself A Merry Little Christmas” on November 17th. Fans can follow along as each new video launches weekly through December 12th. For fans wanting more, Cracker Barrel is offering Eldredge’s fourth studio album Brett Eldredge and holiday album Glow, as well as Clarkson’s Meaning of Life album and children’s books “River Rose and the Magical Lullaby” and “River Rose and the Magical Christmas,” at its locations nationwide and online. Meaning of Life is the album Kelly Clarkson was destined to make with Atlantic Records; it is a collection of soul-inspired pop that immediately belongs among the legendary label’s classic canon. In addition to her new album, Clarkson also succeeded her New York Times Top 10 bestselling-debut children’s book, “River Rose and the Magical Lullaby” this year with “River Rose and the Magical Christmas,” both available now from HarperCollins. While Eldredge’s chart-topping album Brett Eldredge shows the singer’s diverse and ever-evolving sound, his dream of creating a holiday album became reality with the release of Glow last year, which gave the singer a chance to record all the classic songs he loved as a child. By partnering with artists through its Spotlight Music Program, Cracker Barrel provides guests exclusive access to content they can’t find elsewhere like the “Rocking and Stockings” performance series. Known for its Warehouse Sessions, Cracker Barrel has partnered with artists including Alison Krauss, NEEDTOBREATHE and Reba McEntire for live and taped performances from its Décor Warehouse in Lebanon, Tennessee. In February, Cracker Barrel’s partnership with a cappella group Pentatonix and singer-songwriter legend Dolly Parton won the artists a Grammy Award for “Best Country Duo/Group Performance” for their unique remix of Parton’s 1970s hit “Jolene.” This was the first time the song had won the prestigious award since its release over 40 years ago.